The award winning Disney World Swan & Dolphin resort (designed by Michael Graves) has a touch of Dr. Seuss whimsy. 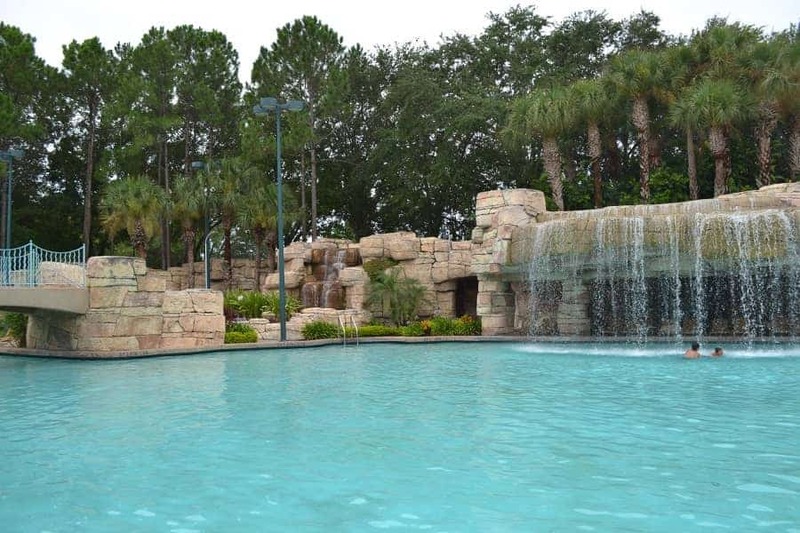 While it isn’t theoretically a Disney-Owned Resort because it is owned by Sheraton, it is located on Disney property and is within walking distance to both Hollywood Studios and Epcot. 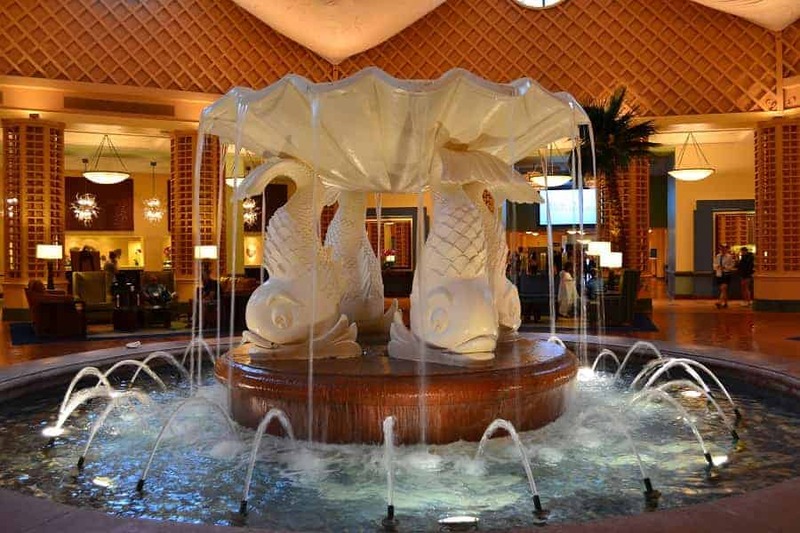 Disney’s Swan & Dolphin Resort is not only a Disney Deluxe Resort, it is a conference center. 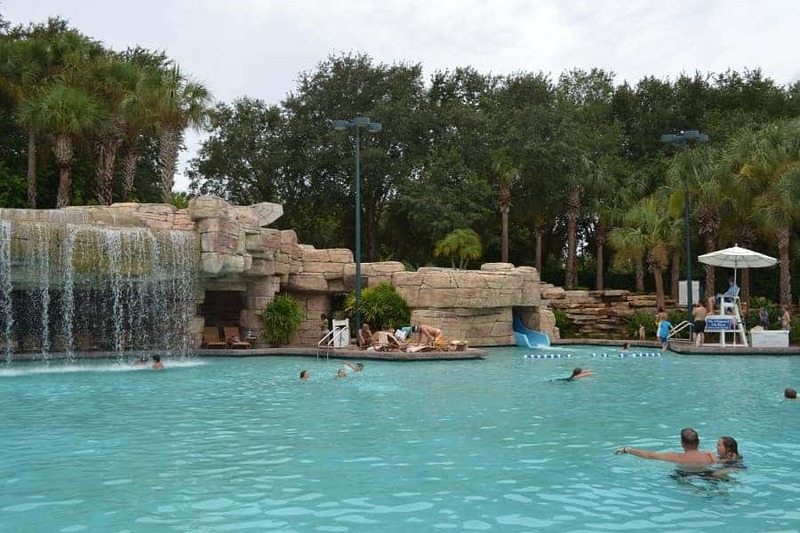 What that means for you as a guest is that it has a totally different feel than many other Disney resorts which cater more to vacationing families than business people. This resort doesn’t scream Disney and you probably wouldn’t even know it was related to Disney in any way if it weren’t for the activities for children. At the Swan and Dolphin resort, you will find high-end restaurants, boutiques, and a ultra modern spa. The entire resort really does feel luxurious. 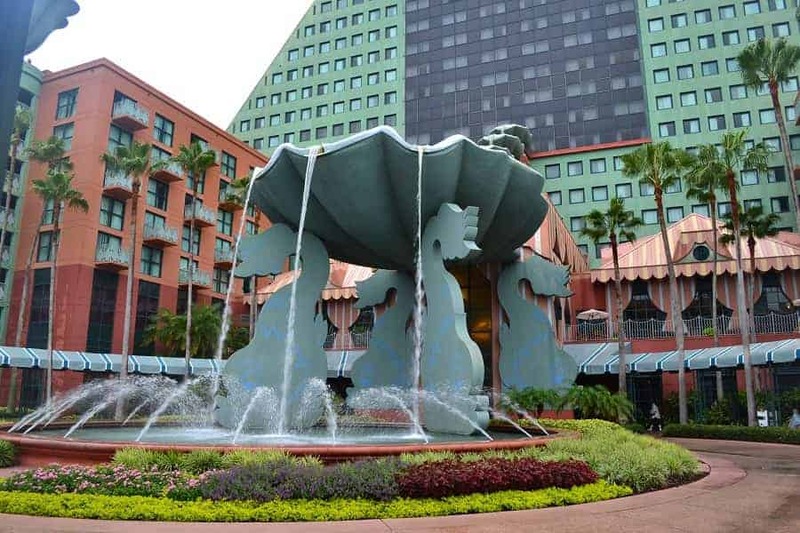 While not filled with tradition Disney themed decor, families will appreciate the Dr. Seuss touches, on fountains and a top the buildings that give it a whimsical elegance. The interior lobby of both the Swan & Dolphin buildings are chic and modern. If you are looking for the full Disney experience in terms of a resort, this is not the resort for you. We stayed in a Deluxe Room in the Dolphin building that was very roomy (by Disney standards) and easily fit our family of four. 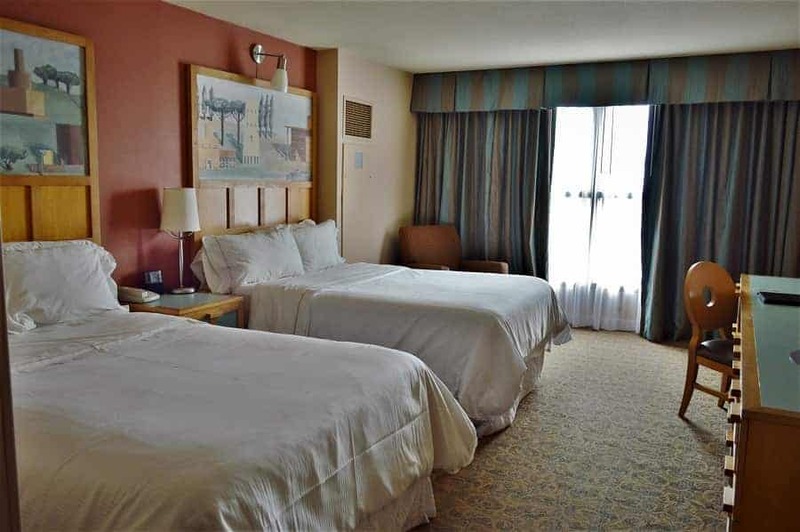 Each room comes with a mini fridge and in room safe and rooms are cleaned daily (although the times seemed to vary). Our package will also included 2 complimentary bottles of water per day and FREE internet & workout room access. I would recommend requesting a room with a view of Epcot because you will be able to view the night show from your balcony! We stayed in a room that was nearest to Hollywood Studios and while we could see some of the fireworks, we did not have a perfect view of their laser light show. Nevertheless, the daytime view was quite spectacular. If pools are your thing, the Swan and Dolphin resort does not disappoint. We spent the majority of our time at the Grotto area of the Dolphin pools. Spanning nearly 3 acres, the Grotto area is divided into three sections with no area more than 5 feet deep. Kids will love the water slide feature & poolside kid activities, and parents will appreciate the hot tubs located just behind the pool. FREE Pool towels are located outside and rafts & beach balls can be rented for a small fee so no need to bring your own! Dolphin also has a beach area located right beside the grotto for lounging. There are also sand volleyball courts and plenty of space for creating sandcastles. You can rent Swan boats nearby for a fee of around $15 per 1/2 hour. One of the things that sets Disney’s Swan and Dolphin Resort apart from the others is the choice of restaurants. You will find a selection of 17 restaurants and lounges. Do note however that the Swan and Dolphin does not participate in the Disney Dining Plan. You will find signature restaurants featuring a wide range of cuisines. 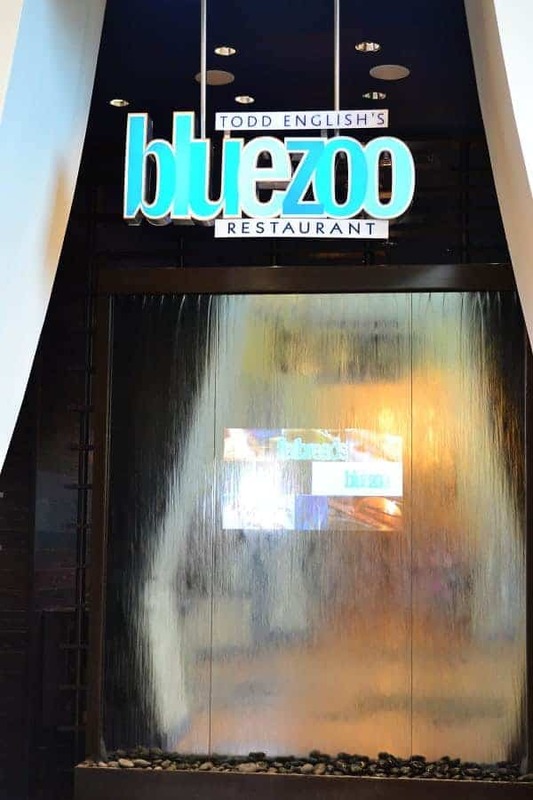 One to try is the world renowned chef Todd English’s Blue Zoo! If you are staying here with the kids, they will enjoy the Disney character dining experience in Garden Grove. Set in a Central Park setting, they will get to eat while being greeted by Goofy, Pluto, Chip and Dale at dinner nightly and for breakfast on Saturdays and Sundays. Probably the best thing about Disney’s Swan & Dolphin resort is the location. 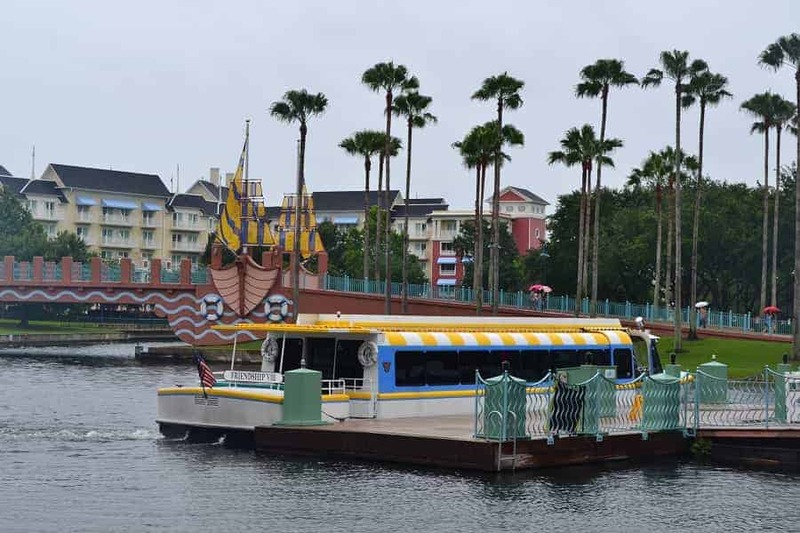 It is within walking distance to the Boardwalk area and a quick boat ride to both Hollywood Studios and Epcot (you could walk to these as well, but why bother?). Although this isn’t a “true” Disney property, you do get complimentary Disney Bus line transportation and extra magic hours at the parks. Tickets can be purchased in advance in the lobby and if you choose to drive into the parks, you do not have to pay to park. Tip: If it rains during your stay at Disney’s Swan & Dolphin Resort, there is a “Rainy Day Room” at the Dolphin full of fun for kids 3-13. You’ll find arts & crafts, board games, puzzles and video games. 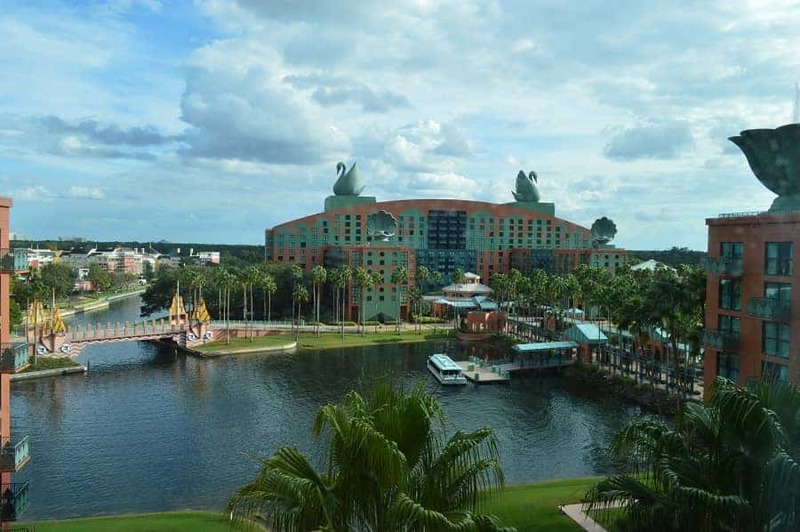 Book your stay at Disney’s Swan & Dolphin Resort NOW and save on your stay. Check out Disney’s Swan & Dolphin Resort at Christmastime. 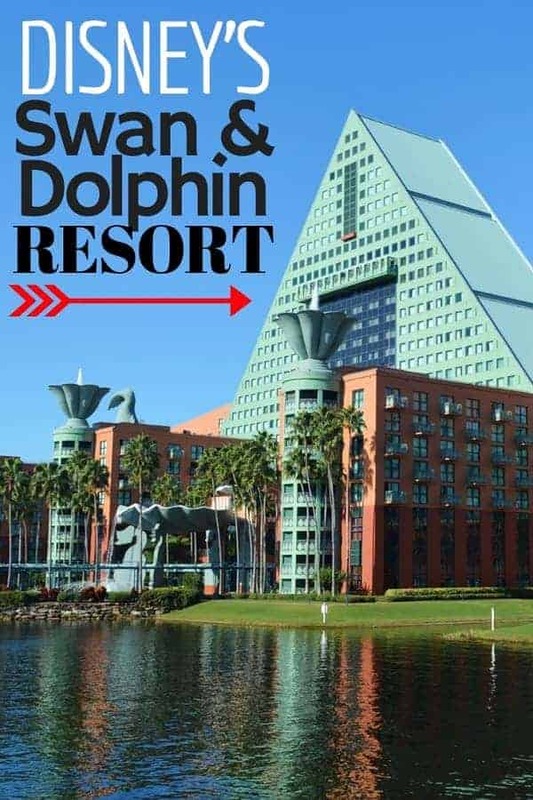 Have you had a chance to stay at the Swan and Dolphin Resort?